call us -we'll replace your broken glass, in some cases, we can submit your claim for you! NO NEED TO CALL OR VISIT ICBC FOR MANY GLASS CLAIMS: ALL-WEST GLASS WILL PROCESS YOUR CLAIM. When you need professional auto glass services on cars, trucks, RVs, or boats, All-West Glass is the place to go! Although windshield work comprises the bulk of our automotive glass services, we repair all vehicle glass, including boats, RVs, heavy equipment, and truck fleets. Let us repair your damaged auto glass in Edmonton or any of our other key locations. Our staff is at the top of our field. All of our locations have either I-CAR® (Inter-Industry Conference on Auto Collision Repair) or government-certified technicians completing every auto glass repair in Edmonton, Grande Prairie, Prince George and many more glass service outlets in northwestern Canada. Before you take your boat for a spin on the lake or your RV for a cruise down the highway, bring it to us for any auto glass service from window replacements to windshield repairs. A broken windshield or window on your car is inconvenience enough without trekking to an ICBC Claims Centre for claim processing before the repairs can be done. Instead, bring your vehicle to your nearest All-West Glass location: all 14 of our BC locations are ICBC Glass Express Certified. If you have ICBC comprehensive coverage and damage is to a single piece of glass on your vehicle, your nearest All-West Glass location can process your claim and repair or replace your auto glass for you in one visit. Questions about your ICBC glass claim? Give us a call and we’ll be happy to help! There’s no need to wait—we offer fast, efficient, reliable auto glass service in Edmonton and many other locations in Northwestern Canada. With the largest automotive glass inventory in Northwestern Canada, we can complete most services the same day you bring your vehicle to us. Some restrictions apply. Please contact the All-West shop near you for complete details. Glass losses are covered under the comprehensive coverage of your auto insurance policy. 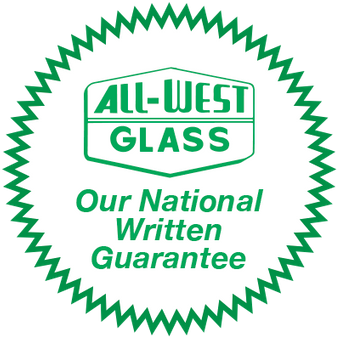 All-West Glass will initiate contact with your insurance company for you, billing them directly for your glass claim. All of our BC stores offer ICBC Glass Express service and can create your claim on location. If you live in Prince George, Grande Prairie or Edmonton, our auto glass services are an excellent solution for your glass repair and replacement needs. Call us at 780-451-6108 today—we are eager to serve you.